Aerobatics Pilots Communication Center This page contains links to various means of communication with other aerobatics enthusiasts. If you know of any other information that is pertinent to this page, please let us know. I have set up an e-mail distribution list for Aerobatics enthusiasts. Go for it! The ACRO e-mail list is being archived. All messages will be automatically included in this archive. I am trying to collect summaries of discussions on the email list about technical issues. I am asking everybody who has aksed a technical questions and got a bunch of answers to summarize these answers and send them to me (together with the question). I will put these summaries on-line. E-mail address list: List of List of Aerobatics pilots' e-mail and snail mail addresses. You can sign up to this list yourself. You don't need to be an IAC member to be on the list. 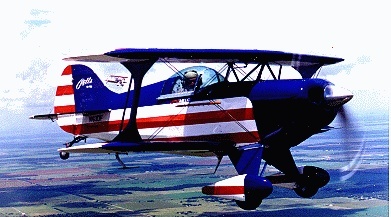 Links to Aerobatics Clubs on the Web. Some of the IAC Chapters participate in an effort to make it easier for potential chapter members to sign up (as well as for current chapter members to change their address). This Signup Form allows you to send all the relevant information to the chapter that you select. The chapter membership coordinator will then contact you with more information regarding dues, member activities, etc. If you want your chapter to be represented in this signnup system, please send me the chapter number, the name of the person who should receive email from people who sign up, and the email address to which this email should be sent.